Horny Goat Weed (Epimedium): Does the real Natural Viagra work or not? Epimedium sagittatum is a herb also called “Horny Goat Weed” which has incredible ability to increase libido, resolve erectile dysfunction, impotence, menopausal disorders and improve physical performance (not only in bed) and mental. It is the most powerful herbal remedy for the sexual sphere. Also called “wings fairy” and “Yin Yang Huo”, it is a famous herb of traditional Chinese medicine. The legend says that when the goats ate this herb greatly increase their sexual attitudes and were much stronger and energetic. After many hundreds of years of use, the specific properties of the plant have been identified by scientists who today are able to understand its mechanisms. The active ingredients contained are: Icariina, prenilflavonoidi, epimedina C, polysaccharides and phytoestrogens. Although sexual passion can be seen as an end in itself, it is actually much more than that. In couple relationships, it is very important to keep the flame of passion alive and if one or both partners have disturbances in their sexual sphere, they can have negative effects on their relationship and self-esteem. 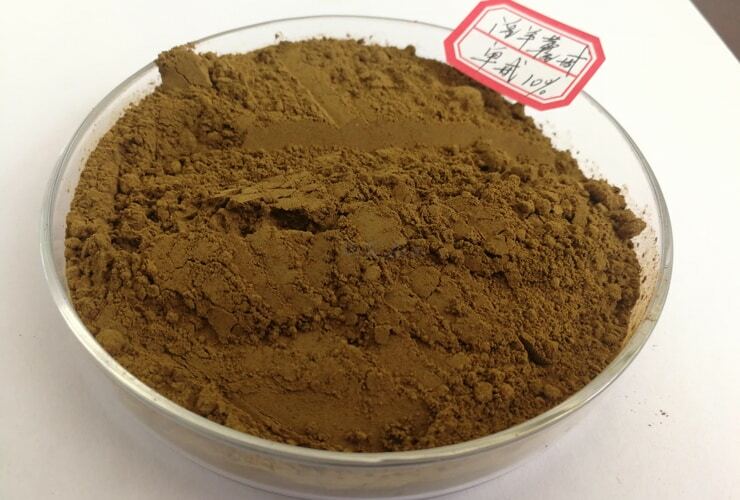 Since a few years, since it began to spread in stores of natural products and herbalists, the comments of those who use it leaves no room for misunderstanding: Epimedium sagittatum extract really works! In Italy it is only now beginning to be known as we always arrive late, especially for the interests of pharmaceutical companies. In fact, since the active ingredients contained in the Epimedium are almost identical chemically to the well-known sildenafil, and have been used in traditional Chinese medicine for centuries, a lawsuit has been brought against the pharmaceutical company holding the patent, which prevents the production and research of other PDE-5 phosphodiesterase inhibitors until this has expired. What does science say about the Epimedium sagittatum extract? a) A study conducted on rats found that 80 mg / kg. of icariin are sufficient to triplicate testosterone levels in rats without changing those of the luteinizing hormone (LH) or those of the follower-stimulating hormone (FSH). The researchers claim that icariin does not stimulate the hypothalamic-pituitary-testicular axis like most testosterone supplements, but works as a testosterone imitator within the testes and therefore does not affect the levels of LH and FSH. b) An in vitro study is what made the famous Horny Goat Weed. It has indeed shown that icariin is one of the few compounds known to be an inhibitor of the PDE5 enzyme and therefore could also be used to treat erectile dysfunction naturally. The same study was also used as evidence in a famous case of violation, in order to rescind some parts of the patent that authorized the use of US Viagra (in the patent, the Viagra producers claimed that their medicinal product, chemically synthesized, was the only compound present on the planet able to inhibit the PDE5 enzyme, which is obviously not true, given the case of the epimedium). c) Some studies, conducted both in vitro and in vivo, have also found that the active ingredient of Horny Goat Weed – icariin – stimulates nitric oxide and improves blood circulation. Increasing levels of nitric oxide in conjunction with inhibition of the enzyme PDE5 show that the Horny Goat Weed definitely has benefits on erectile function. d) According to a study, icariin increases growth hormone and blood flow in the pelvic area. The Epimedium sagittatum extract is almost certainly a great aphrodisiac with pro-erectile qualities. Because there are not yet complete studies done on man. And despite the excellent results obtained both in rodents and in human cells isolated in the laboratory, we cannot say that its effects are guaranteed on every person.